The Stashbusters Anonymous workshop ended this week, however I still have a few challenges to complete. I found the materials and challenges in this workshop extremely inspiring and have already completed nine layouts, with ideas for many more that I want to create. Here's a look at a couple of layouts with photos from earlier this year. Challenge 2 was to use a sunburst shape on our layout. Aly Dosdall provided a template for cutting up scraps of patterned paper to create the sunburst. 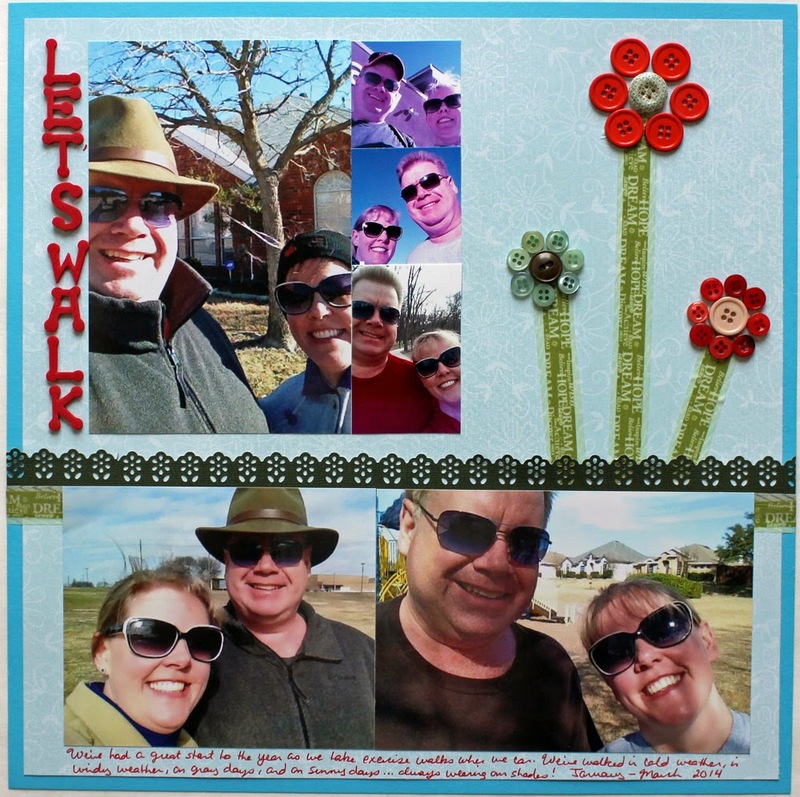 I used my highlights photo and twenty words from January on this layout and followed the provided sketch very closely. This layout was a lot of FUN to create and I'm hoping to try it again to help use up my patterned paper scraps in other colors. 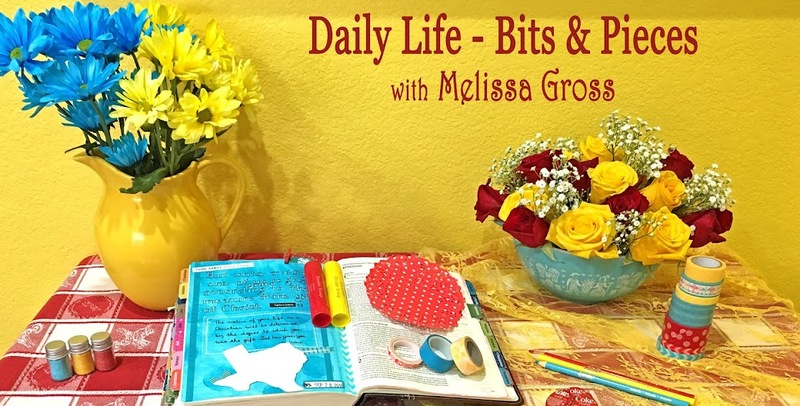 For the fourth challenge, Aly shared how to create flowers using buttons. 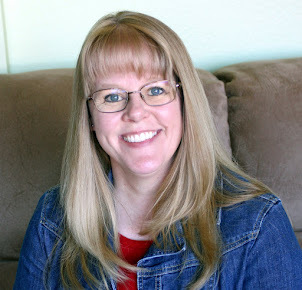 I didn't follow the sketch for this layout because I wanted to include quite a few photos. I think the flowers make a great embellishment and can see adding these types of flowers on future layouts. 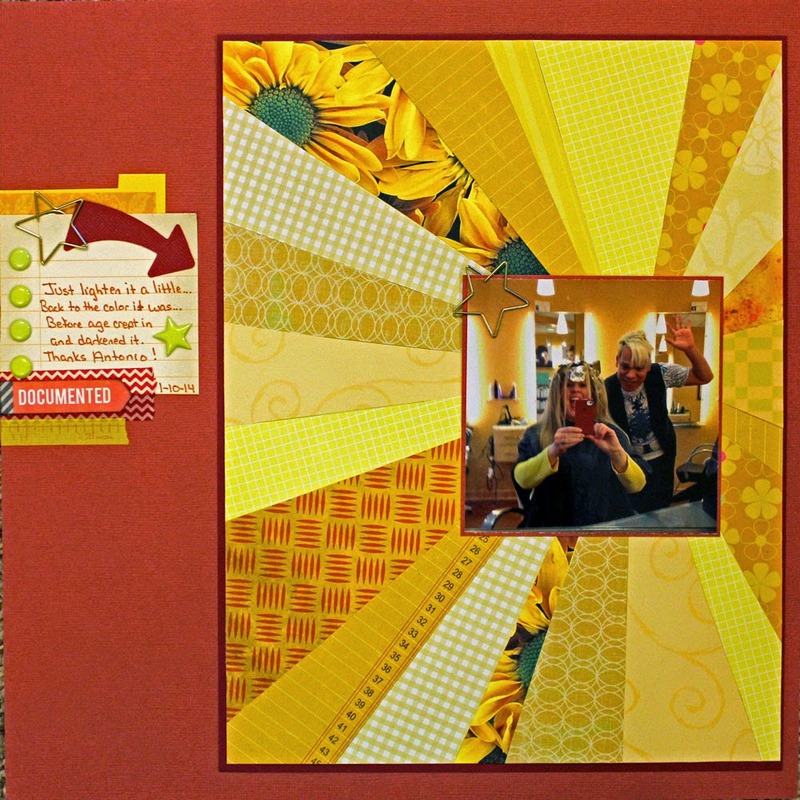 Have you cut up papers to create a sunburst or used buttons on your layouts lately? Why yes I have...lol... for the class. Actually, I didn't do the flower one. It's still on my "to do" list. I love both of these! Fabulous job! I haven't used either of these, but can see myself making a button with, perhaps with card? (I'm not so good on lumpy pages). But that sunburst one is such a beautiful blast of brightness - hope you were pleased with your hair too! I've used buttons before, but never a sunburst. Yours is fabulous! I recognize both those challenges and you've completed them in fine form. Nicely scrapped.